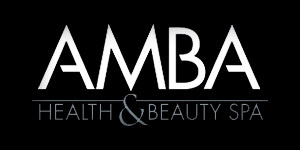 Our Amba Signature Packages are the ultimate for mind, body and wellness experiences. Book yours today! ~ This 2 hour package is sure to relax and rejuvenate you! Starting with an express facial along with heated peach paraffin wax treatment on your hands and feet, and finish off with an invigorating back scrub and hot stone back massage. ~ This 3 hour package is packed full of everything you need to treat yourself to an afternoon at the spa! Picture this! Start off with a luxurious body polish and European-Rose body mud wrap, cocooned in warmth during your express facial. Followed by full body massage, incorporating Swedish and hot stone massage and finishing up with our deluxe pedicure and heated peach paraffin wax foot treatment. Guaranteed to leaving you feeling blissful! ~ What more could you ask for with this package? This package is full body, mind and wellness pampering all wrapped into 5 hours of pure relaxation and rejuvenation. Just what you need! 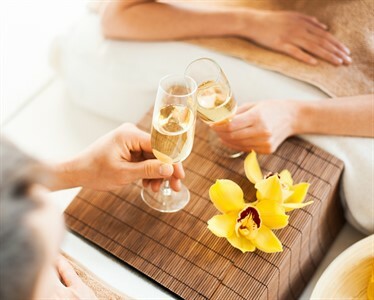 This package includes a signature facial with invigorating scalp treatment and massage, your choice of signature body wrap and polish, full body Swedish massage and finishing off with our deluxe manicure and deluxe pedicure along with heated paraffin wax treatment of the hands and feet to leave you on cloud 9! This package can only get better by you taking home the bottle of polish with you. Call today to book your spa experience, you will be glad you did! Feel free to bring your bathing suit and take advantage of the sauna, hot tub, steam room and pool! Enjoy your time, you deserve it! Robes and sandals provided.